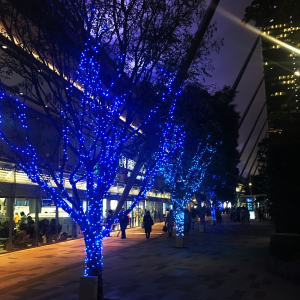 This year I also made the illumination image of the tree at the Tokyo station Yaesu-guchi. It seems that WOW made an installation this year. This is made to be familiar with the whole theme, and this year we are shining in the range of blue to white. Although it was difficult to have variations easily, I think that I will make that variation next year if there is a story that I want to do this next year while checking the lighting the other day. Or I hope I can do it elsewhere.